"After 20 years of employment, I was injured and my employer told me they had no job for me. You bet I'm angry!" Many people lose their jobs through injury, downsizing or closings and it's challenging to come to terms with leaving an employer after so many years of service. Anger is a natural response, as is depression, denial, bargaining and eventually, acceptance - all the stages of grief. Whenever we experience a transition, whether we cause it ourselves or it is thrust upon us, we experience all of these emotions in order to deal with and come to terms with the change. Sometimes, people get stuck in the anger. There are several reasons why this occurs. If you are still dealing with anger over some loss in your life, be it job-related or other, what's important is that that you realize how this anger is holding you back and make the decision to think differently so that you can move on to enjoy more of life. Your power lies in accepting a new paradigm so you can move beyond anger and into acceptance. Businesses exist to perform a service or to sell or manufacture products. When a business is born, jobs are created. These jobs provide opportunities for members of the community to work, earn a wage and enjoy some level of personal satisfaction in being part of this bigger organization and participating in the realization of the company mission. There are, however, no guarantees that this company will stay the same, that the company will survive, that the mission will remain the same or that your job will continue to exist. If you are looking for job security, it doesn't exist. The job security you seek is present within you - your ability to perform work, your skills and capacity to learn, your experience and your education. You won't find security outside yourself. Security is a personal need. If you are looking for your needs to be met by your company, you will always be disappointed. Businesses don't exist to fulfill your personal needs. You must get your needs met elsewhere. Businesses exist to perform some service or product and to make money. In so doing, there are many byproducts including jobs, goodwill and vitalization within the community in addition to the service or goods they are providing. If they don't make money, they don't stay in business. Business isn't personal. Layoffs aren't personal; they are business decisions. Good or bad, the decision is not about you. Jobs created by opening a business enable you to receive an exchange of value for your time, effort, energy and skills in the form of money and benefits. While there may be advantages, there is no additional compensation. You must separate the business from the people. The business owes you nothing and you owe the business nothing outside of the exchange of value you agreed upon when you were hired. Just because you stay with a company for many years doesn't mean they owe you something additional. You may think the company should do something, you may want the company to do something but there is no obligation to do so. Their obligation is to the development of the company and the fulfillment of the company mission. It is possible that management feels a certain way, possesses a certain value system and believes that it is in the company's best interest to treat their employees to extras or to go out of their way for the employees. This is about the people who work for the organization. It's not about the business itself. The business has to keep things in perspective and focus on the survival and vitality of the business, otherwise it will get lost in trying to meet the needs of its people, which is not why it exists. It will lose focus and die. Then, there will be no jobs. People often feel that they must give their heart and soul to the job. This is a fallacy. Focus on doing the best work you can. If you choose to go above and beyond what is expected, you do so for yourself and not for anyone else. This may not be rewarded. So, if you are happy at the end of the day with your performance, then great. If you feel resentful that the company is taking more of you then you'd like, accept responsibility for your behavior and realize that the company has taken nothing from you without your permission. Do not expect anything in return except that which you have agreed to when you were hired. If you are loyal and dedicated, it's because that is the kind of person you are, not because you expect something in return. You may get more then you ever thought possible and that's wonderful. But there is no guarantee you'll get more. You are responsible for the results you receive. If you are not happy with what you have, then start asking what you are doing to bring about these results. If you deserve a raise, ask for it; if you don't ask, the answer will always be no. If you believe you have more value then what you are receiving from your current employer, then find another employer that will value you in the way you want to be valued. If you are doing too much, staying too late and taking on too many projects, learn to place limits around your time and the work you agree to take on. Set realistic expectations for what you are capable of accomplishing in a day. If you've been overestimating what is possible for you to do in an 8-hour day, you can be sure that it's damaging you physically. The fate of your life is not at the mercy of a business. Change your perspective, realizing that you are responsible for your choices. If you entrust your fate to a business or employer, you won't get what you want - you'll get what they want. And that's sure to make you angry. 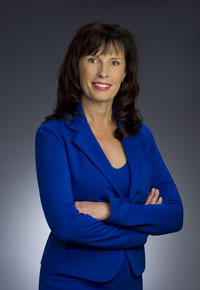 Julie Fuimano, MBA, BSN, RN is a Personal & Career Coach, author and motivational speaker. Her passion is coaching clients to express their values, gifts and talents to the fullest and to become all that they are meant to be. Are you being all you want to be? Are you living a life you love? For your 20-minute coaching consultation, visit Julie at www.nurturingyoursuccess.com, write to her at Julie@nurturingyoursuccess.com or call her directly at (484) 530-5024.